1d12 Days of Christmas, Day 2 – Conquer the Martians! The classic Christmas film Santa Claus Conquers the Martians was introduced to many of us through its appearance on Mystery Science Theatre 3000, and now you can bring the bungling Martians to your Pathfinder game, thanks to Asparagus Jumpsuit! 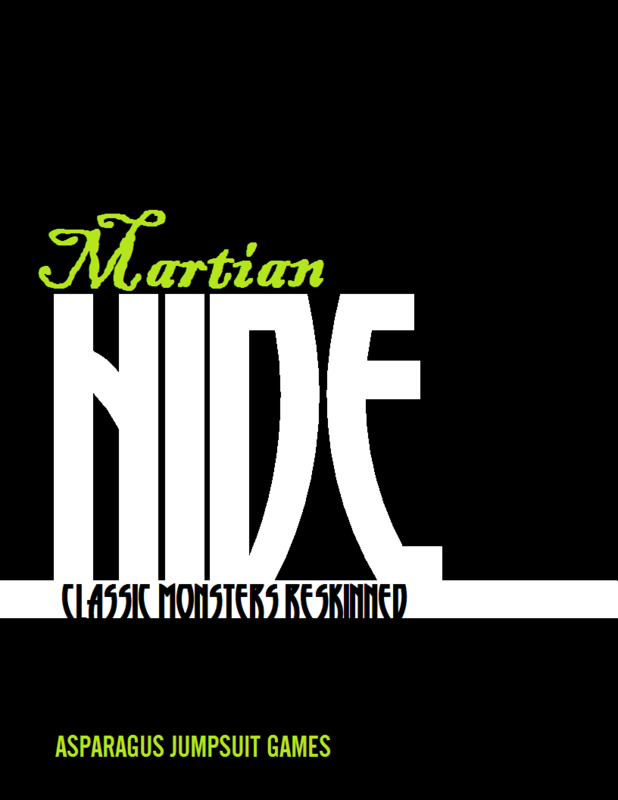 Martian Hide is part of an excellent series from AJ that “reskins” or reimagines classic monsters in different roles and fresh approaches. Martian Hide is a freebie, and the others in the series are not only reasonably priced, but your purchase will help Berin and his wife with a very important life transition. If you’d like to know more, check it out at RPGNow!